Improving the effectiveness of infill development. As much as 35% of all housing development in the middle suburbs (greyfields) of Melbourne and other Australian capital cities is generated through informal infill on small sites. This infill development is adhoc and is largely done by ‘Mum and Dad’ developers who buy and pull down one outdated house on a single block, and build two dwellings in its place. This process generally involves no design input and often results in a poor standard of housing. It also fails to contribute to the urgent need to create low carbon cities that can accommodate high population growth. This project focuses on such infill development and explores how it could be done more effectively at the scale of precinct to improve the performance, density and quality of the built outcomes. What might happen, for instance, if a developer was able to develop 10 suburban blocks that may not be contiguous, and treat this as one development? What kinds of dwelling types could be designed? What kind of open space arrangements? What efficient construction methods might be utilised? 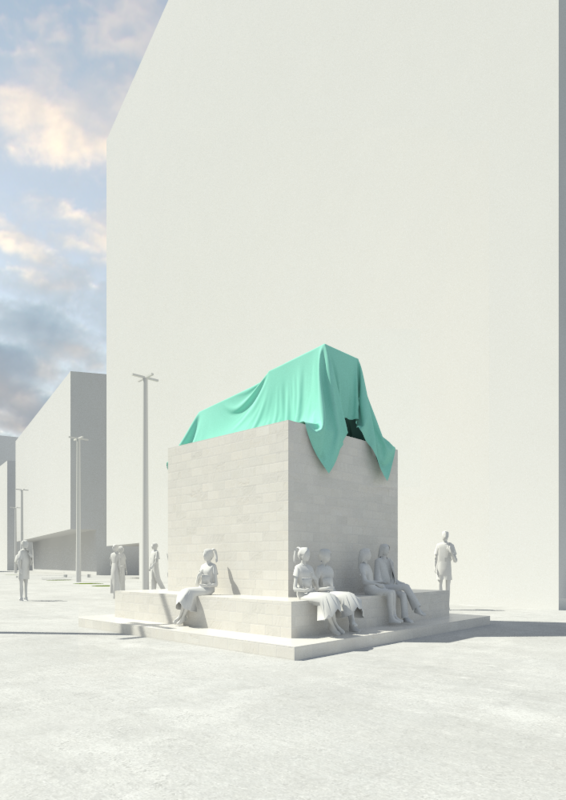 How might sustainable infrastructure be delivered at a precinct scale? What kinds of financing models might make this possible? What governance systems could assist? How might the community respond? This project comprised a four-stage process that addressed such questions. In each stage, Investigative Panels comprising leading experts from industry, government, community and academic sectors participated in a facilitated workshop; a range of issues were explored across the workshops including policy, design, construction, financing, community and governance. Each workshop was preceded by a discussion paper and was followed by a panel report that documented the discussion and provided research direction for subsequent stages of work. 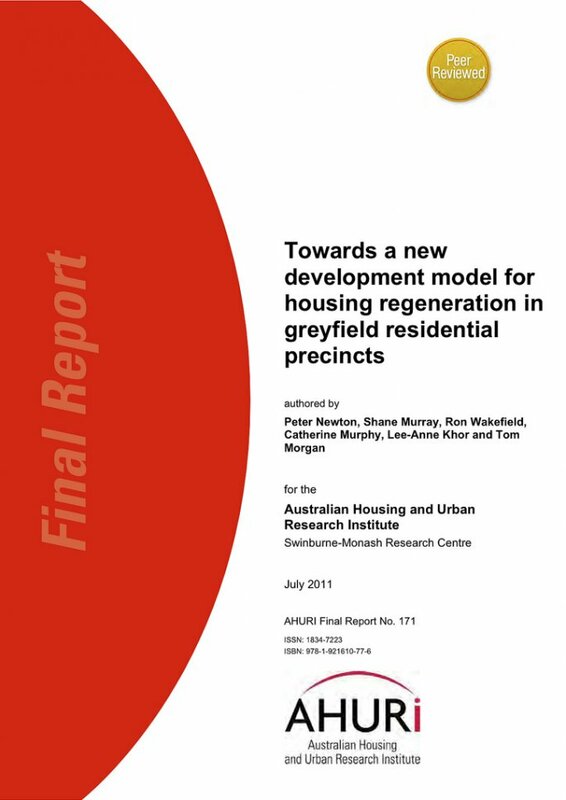 This iterative mode of examination allowed for a collective development of ideas to test and ‘map’ a viable model for greyfield residential precinct regeneration.